← Simulation debrief Thursday 18/4/13 – Like a kick to the head! Scenario – 25 year old male fallen down cliff face sustaining bilateral lower limb injuries and now caught in climbing apparatus. Remote location. Doctor and paramedic crew only able to insert from edge above. Suspended on cliff face for c.18hours. Scene – Ledge beneath cliff. 5m height rope rappel both above and below patient. Helicopter stretcher winch possible from point below and distant to patient. Patient – Hanging in semi-seated position in harness. Bilateral compound femur fractures. Responsive to verbal cues. Good respiratory and circulatory findings initially. Both lower limbs numb. Rapid deterioration due to hyperkalemia and haemorrhage. Challenges – Difficult and high risk access and egress. Remote location with limited resources. Management of hyperkalemia secondary to rhabdomyolysis and soft tissue trauma. Treatment of traumatic cardiac arrest in austere environment. Early planning of what resource to take in with you may have exponential benefits later when your patient deteriorates – eg monitoring, defib capability, blood etc. Early preloading with IV fluid prior to movement or tourniquet release. Management of traumatic (and potentially therefore hypovolemic) cardiac arrest differs from our management of the hyperkalemia induced arrest. ie use of calcium, adrenaline and CPR in the hyperkalemic arrest, addition of pelvic splint, consideration of bilateral thoracostomies in trauma. 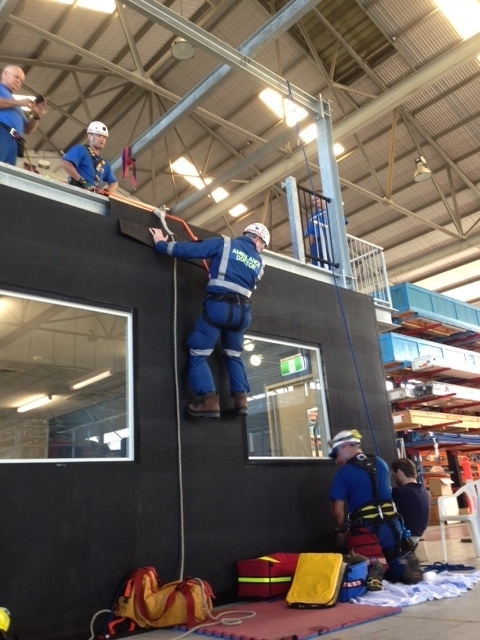 Combination of rope and difficult access training with a medical training scenario improves the fidelity of each of them. The use of the term syndrome or multiple inverted commas may herald an area of medicine poor in evidence and rich in opinion. The climbing community and the emergency personnel who attend them when in extremis have long debated the effects and management of those left hanging for prolonged periods. The above terms are some of the labels given to theoretical processes that have been proposed over the years for how the body responds to hours spent immobile in harness. Expert opinion for some decades had coalesced around the perceived threat of orthostatic fluid stasis in the lower limbs. Fainting happens. If prolonged this will result in ischaemic injury and potentially death. However, the presumption of rhabdomyolysis secondary to prolonged time in harness and fluid/electrolyte shifts proposed to occur when patients are returned to a supine position has remained unproven by any scientific study to date. In the absence of any concrete evidence to support this theory, expert opinion (and the resulting consensus guidelines) have now swung back in the opposite direction. Recommendations are now made that those found hanging be treated according to universal algorithms applying to resuscitation and trauma. Cardiovascular collapse is certainly recognised in passive suspension but in the absence of major crush or long term arterial ischaemia, hyperkalemia and re-perfusion injury appear to have moved out of the sights of those trying to identify what kills people left on the hang. 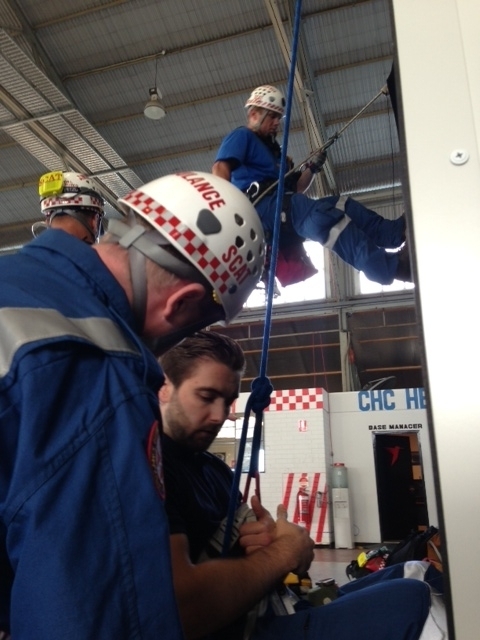 This entry was posted in simulation, training and tagged rescue & extrication, Special Casualty Access Team. Bookmark the permalink. Brilliant idea to use the esky and the paramedics roping skills! UK HSE working party suggests firstly rapid rescue and secondly, treat as all other casualties. The group did not address, unconscious or prolonged suspension without movement. Lots of issues to consider eg reperfusion, volume overload, atrial stretch, cabal effects……discuss!